Its funny, really. I've been visiting this creek since I was a small, small child. And since then, I've always thought it was Reedy Creek. It was only while naming this photo that I realized that Reedy Creek, or what I thought was Reedy, is actually Sycamore Creek. That... Explains a lot, actually. Like why there's no reeds. 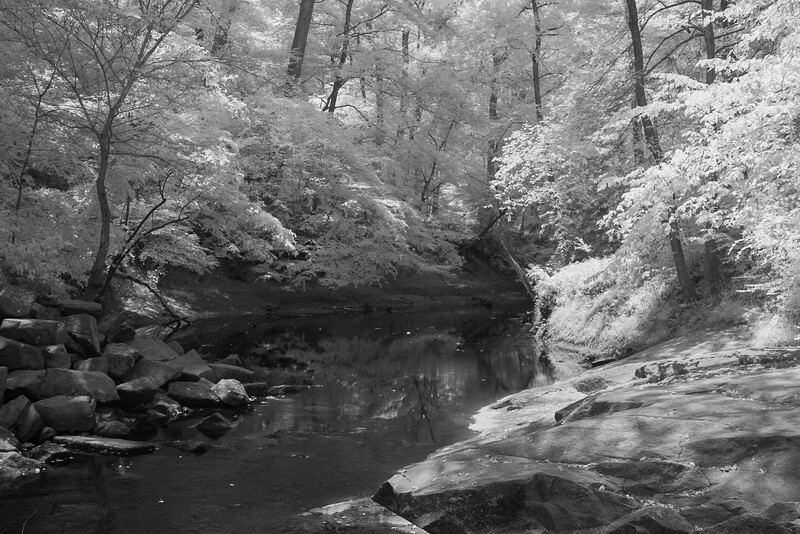 This was taken near the old mill ruins, but around the bend from the bridge. It was taken handheld with an infrared Canon 20D and a stock 18-55mm lens at 28mm. I find that 28mm lets me focus properly without getting all the weird problems that IR can get shooting through a normal lens.